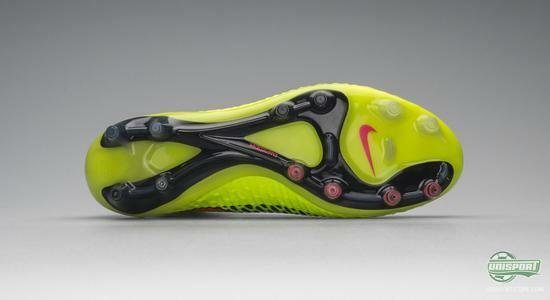 In the beginning of March, Nike changed the rules of football by putting out a football boot with an innovative design. A football boot made with Nike's Flyknit technology and a the Dynamic Fit Collar that gave the football boot a brand new look. We are starting to get used to the look of it and Nike have even introduced it as a part of their World Cup collection. 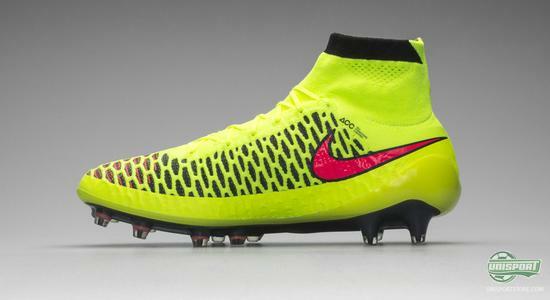 The Nike Magista Obra has replaced the playmaker silo CTR360. 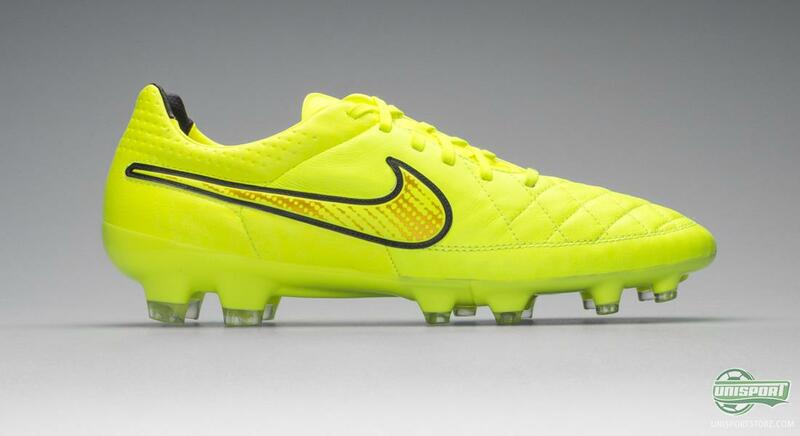 During the World Cup we will be seeing it on the feet of Andres Iniesta, Mario Götze, David Luiz and many more. The new Magista has been created with the ambition of making a football boot that gives you the feeling of playing bare feet. The knitted upper is covered in a 0,1 mm thin layer of specially developed NIKESKIN, and in addition Nike have also included their innovative ACC technology. The colours of the new World Cup collection certainly stand out from the crowd and even from the distance there will be no doubt who is wearing the Nike World Cup colours and who doesn't. From the three football boots that Nike have presented at this point, the Hypervenom differs from the two others with its primarily Crimson red colourway, whereas the two others have gotten the Volt neon treatment. Three boots with technological elements that make each of them unique. 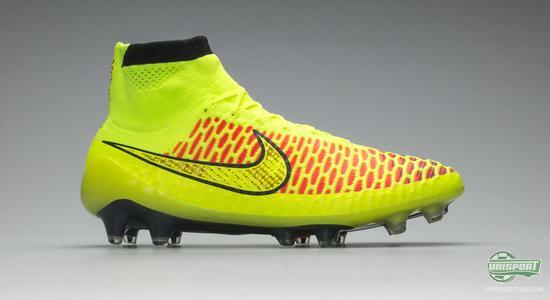 The Magista Obra is, as previously mentioned, developed to met the needs of the playmaker. This football boot differs from the others with its Flyknit upper, as well as the Dynamic Fit Collar. 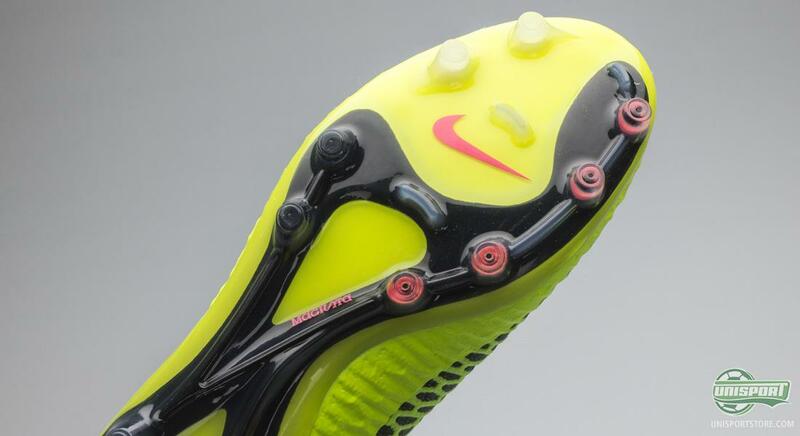 Nike have used the analogy of a surgeon. When a surgeon is operating, he will wear gloves. These gloves naturally continue to also include the wrist. It is hard to imagine a glove that stops halfway up the hand. The Dynamic Fit Collar on the Magista Obra is created with the same logic and the idea is to create a football boot the becomes a natural part of the whole body, and is not just an external object stuck to your foot. If this is truly working, we have yet to properly test for ourselves. But players like Iniesta, Götze and Christian Eriksen have already been praising the design. 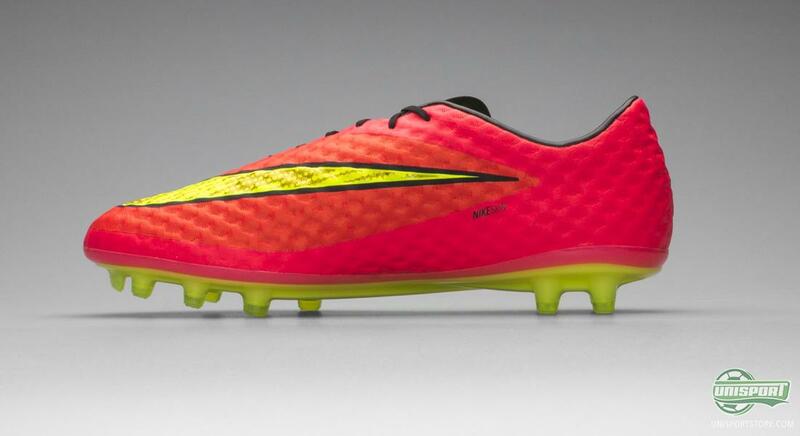 The Hypervenom is Nike's poisonous attacker boot. 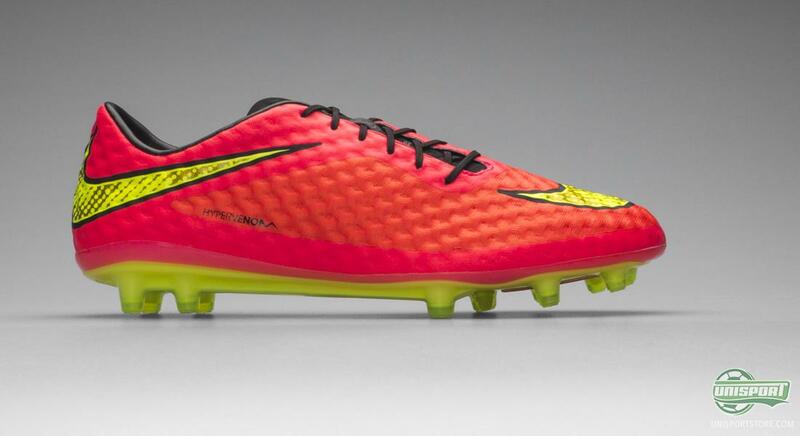 During the World Cup, this football boot will be worn by players like Neymar, Rooney and Sturridge. 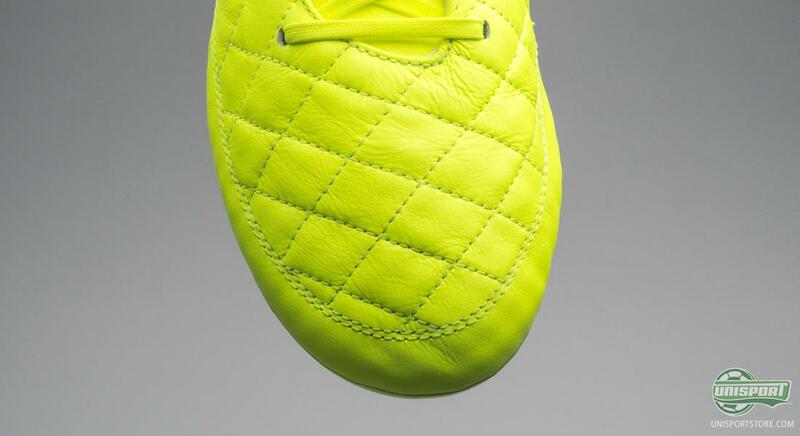 Both the Magista and the Hypervenom are made with the same anatomical last, which is the GF13. It is a last that provides a snug fit around your foot and has a unique ability to adapt to the shape of your foot. Therefore, both boots should not regarded for one specific target group, but can be used by a vast variety of players. The third, and so far, last football boot in Nike's World Cup line-up is the Tiempo Legend V. Nike's only football boot with a leather upper. This boot represents Nike's very first silo, which was introduced at the World Cup back in 1994. back then, the legend Romario was among the crowd who was wearing the Nike boot. Since then, big players like Ronaldinho, Totti and Pirlo have been wearing the boot; and at this years World Cup we can expect to see Pirlo in this rather loud colourway for the Tiempo Legend V boot. Nike presented these three silos yesterday. But now yesterday has gone and we are very much looking forward to the events of today. Nike have promised to present the new Mercurial boot, which Cristiano Ronaldo, among others, will wear during the World Cup, and according to the teasers, we have all the reason to be excited. We are expecting the colourway for the new Mercurial to be in line with the three boots that were presented yesterday. Nike's World Cup collection certainly stands out in terms of colours, and we are looking forward to seeing these football boots running about the Brazilian pitches this summer. Which of the three silos does it for you, and do you think Nike are saving the best for last?